Kinsmap presents your family tree in new and exciting ways. Interactive ancestry and descendancy fan charts give new insight into your family history and maps reveal your relatives' migrations. 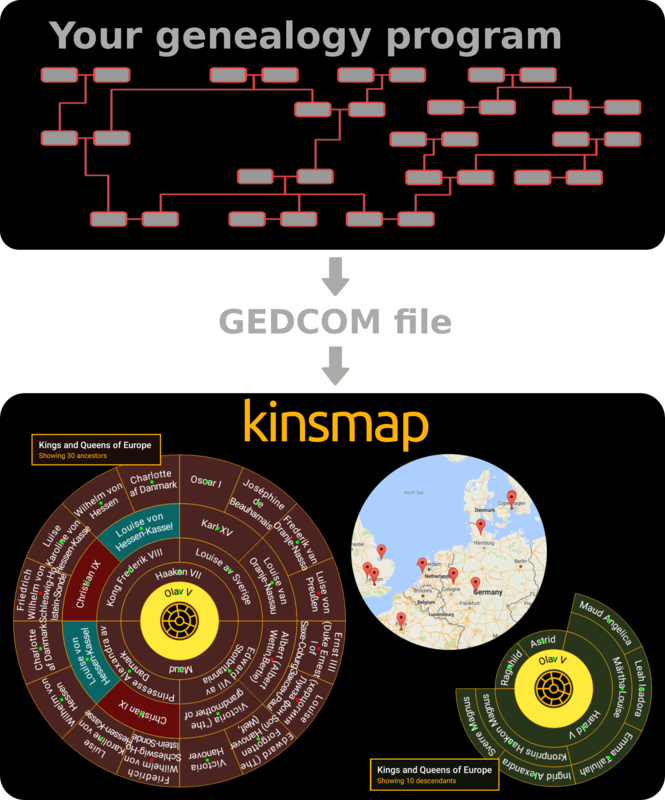 Generate a GEDCOM from your genealogy program and load it into Kinsmap. 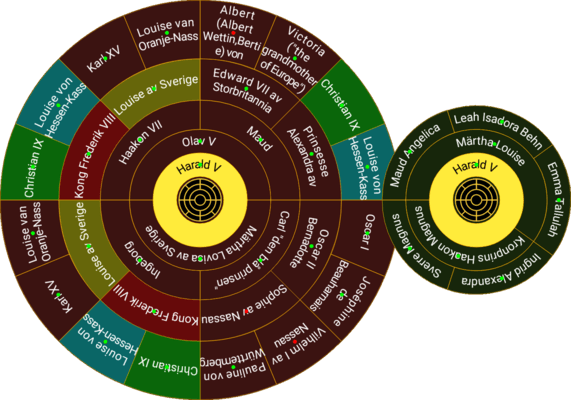 The kins wheel shows ancestors and descendants in traditional circle diagrams, but adding zoom, pan and change of person in focus. Holes in your ancestry tree are easily discovered and mistakes are revealed. In this example color coding of ancestry collapse has been enabled, revealing royal family traditions. 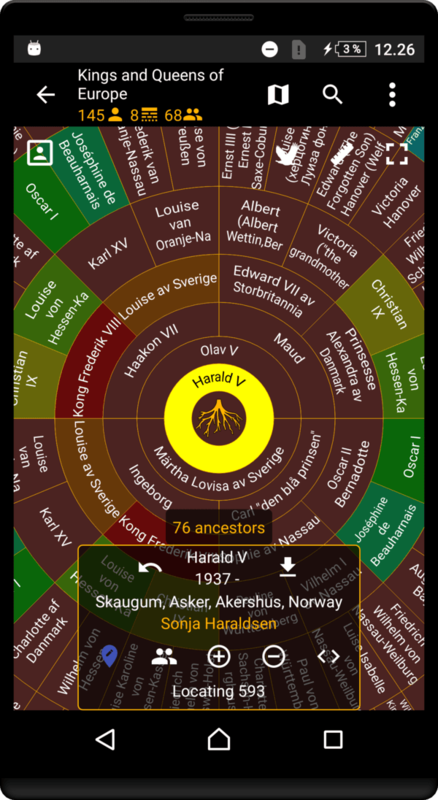 The kins map shows the birth places of ancestors or descendants of any single single person in your family tree. You can walk through generations and discover the migration patterns of your relatives. Have you ever been lost in unknown territories when reading old church records? 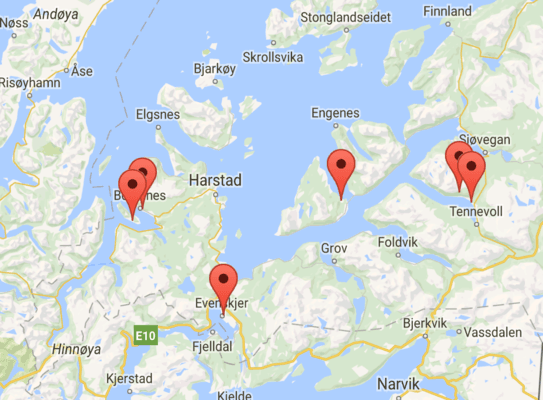 Seeing the locations on a map greatly increases your efficiency and reduces the number of mistakes. There are numerous places with the same name, even within a little district. 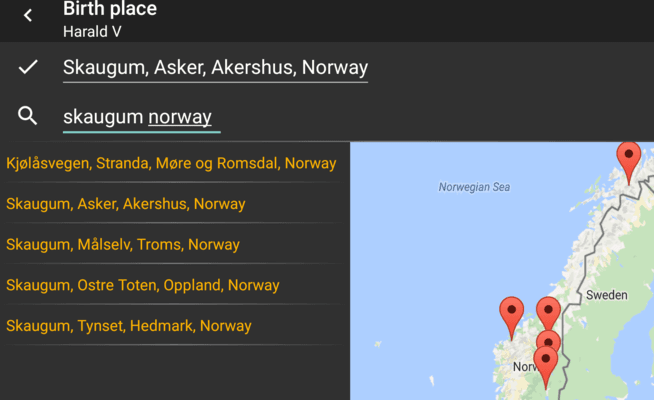 The place search and edit functionality helps you to locate the right place and to fix it with a few touches. It can be fun and perhaps even give greater insight studying an image of your family history. 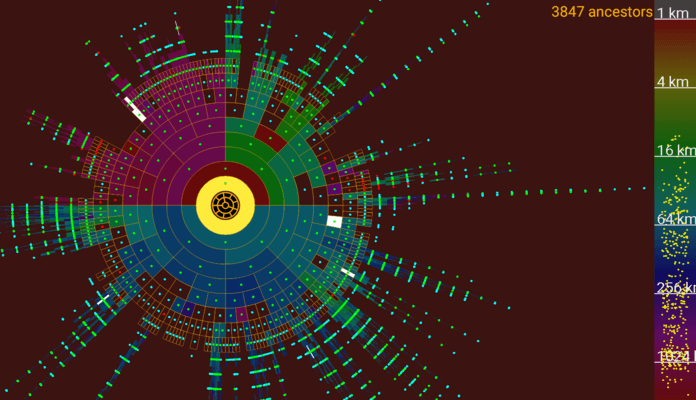 In this image there are a total of 3847 persons spread over 34 generations of which 2200 are doublets. Different colors show the distance between the proband's birth place and the birth places of his/her ancestors. Your tablet or mobile phone may be small to present your findings. 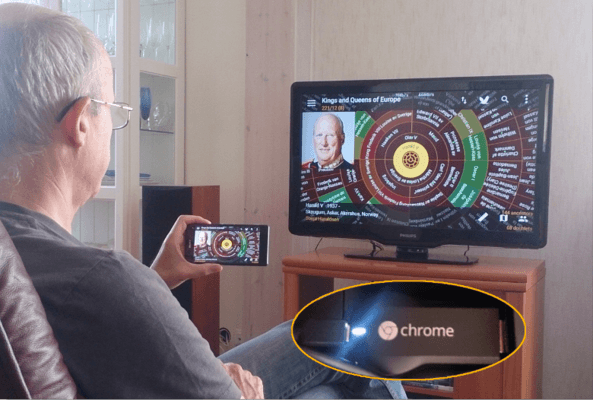 Invite your friends and family, connect your device to a TV or projector and show the diagrams and maps in big format. This can be done in different ways. Ask us if you need help. All app features included. Family trees with size greater than 250 persons will be dimmed. All app features included. Showing trees of any size, only limited by device resources. Kinsmap is available for Android smart phones and tablets. Multiple languages are supported, including Norwegian, English, Portuguese, Spanish, French and German. 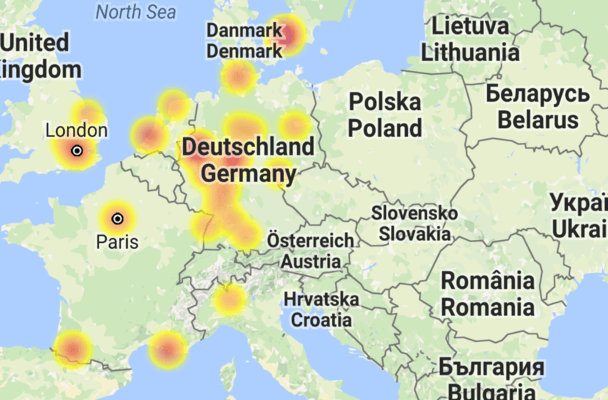 Copyright © 2018 Harald Unander. All rights reserved.